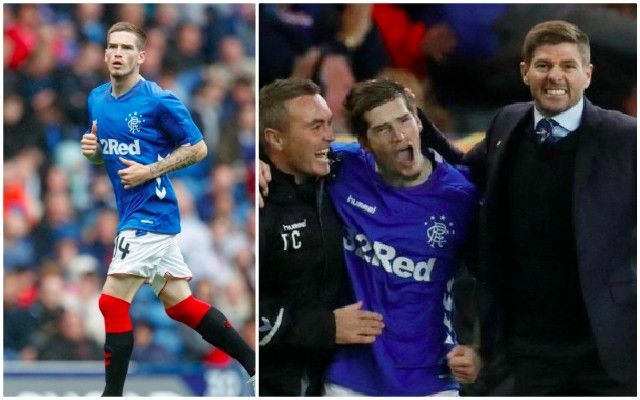 Rangers fans really, really like Ryan Kent. The English youngster has been sensational north of the border this season and has become an integral starter in Steven Gerrard’s Rangers team. He played a big part in Rangers’ victory over Aberdeen last night, which keeps the Gers in contention for the SPL title with Brendan Rodgers’ Celtic. So good has Kent been, that Rangers fans sing this song about him on the terraces! To the tune of Joy Division’s ‘Love will tear us apart,’ you can now hear about how ‘Kent will tear you apart,’ at Rangers home and away matches! Will the 21-year-old ever make the grade at Anfield? It’s probably unlikely, but he’s got serious talent and has the ability to forge a good Premier League career for himself in the mid-table. Although Gerrard will be doing all he can this upcoming summer to secure Kent permanently himself!